Howdy and welcome to Surviving The Oregon Trail! Our greatest desire is not only to educate our visitors by providing helpful and free homeschool and teacher resources, but also to come together and build a community of friends and family to help encourage and inspire one another to learn more and share often! We hope you will become a member of our growing community and share the things you learn with all of us! We’d love to have you aboard our wagon train today! Lesson packs include a dive into American history, geography and survival skills. Students will learn from reading articles, reviewing maps, watching videos, doing fun activities and more! From coloring pages to word puzzles to penmanship practice sheets, feel free to explore the wide variety of productive and effective home school materials provided on our site. We provide a wonderful selection of printable coloring pages, maps, recipes, music videos, articles, puzzles, short stories and poems to help enrich the student’s experience. Stay tuned as we provide students the opportunity to learn and earn more through our challenges, membership badges and annual STOT contests! Subscribe To Our Newsletter Today! Enjoy our streaming videos of classic tales, songs and dances from the early 18th century. 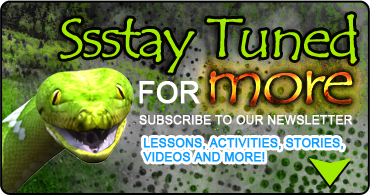 Other featured videos include homesteading projects, first aid and self-defense. Members receive additional benefits for their entire family valued beyond the price of an annual membership alone! Special benefits include discounts and freebies from trusted and recommended resources, games, e-books and more. Learn about the amazing journey known as the Oregon Trail. Teach History, Geography and Survival using our valuable lessons, curriculum and resources designed for all ages, families, and homeschool groups!